Maybe you’ve heard of dabbing from friends who sing its praises, or you’re just looking to try something new and aren’t sure where to start. When you dab, you are quickly vaporizing concentrates as they are put on a hot surface (usually glass) and inhaled. The concentrates contain far less plant material than flower does, so you’re getting more of the benefits while inhaling less resin. Dabbing is a more potent delivery method than smoking dry leaf product, with concentrates containing 50% to 80% of active ingredients while loose leaf material has between 10 and 25% of active compounds. Special formulations of concentrate also allow you to receive all the pain relief benefits of plant material without the euphoric feeling. The good folks at Loto Labs have tasked their team to compile a quick start guide to help you get the maximum benefits out of dabbing. Read on to learn everything you need to know to dab like a pro. If you’re already looking to start dabbing like a pro, check out the Loto Legend by Loto Labs. The Legend reaches full power in under 10 seconds thanks to patented non-contact induction heating technology. 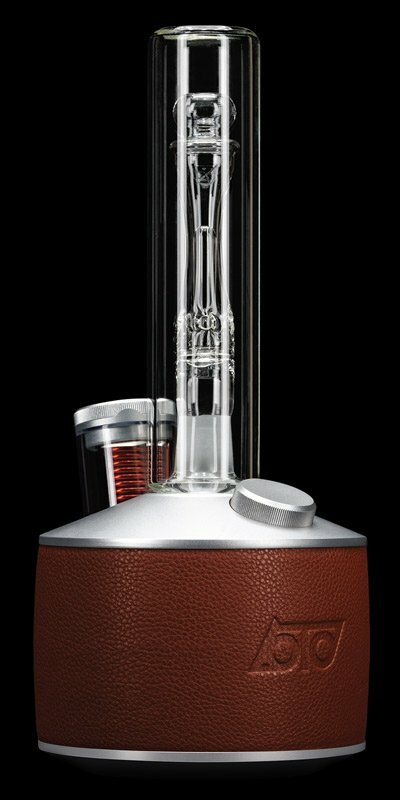 With no exposed heating elements and an all glass vapor path, the Legend gives you so the safest, fastest dab available. Check out the Legend now! How Much Concentrate Do I Need? Though everyone is different, it’s best to start out dabbing with smaller doses and work your way up to an amount suitable to the desired effect you’re shooting for. The amount you need also depends on the concentration of your oil or wax, so knowing this number before you begin dabbing can help you figure out the size of your dab. With a new concentrate, start with no bigger than a crumb. Even though it may look like too little, you’re receiving a much higher concentration of the active compounds than you would smoking flower. Dabbing is a bit more complicated than smoking dry plant material, but once you get the hang of it you’ll get set up quicker. We recommend that you sit the first few times you try dabbing, as the effects can be more intense than you’re used to. Step 1: Have concentrates ready on the end of the dab tool before proceeding. Step 3: Turn Button to the desired power setting (as indicated by color). Step 4: Using the Dab Tool, put material into the chamber and press against the susceptor. If you rotate the dab tool on the susceptor you’ll be less likely to waste any wax stuck to the tool. Step 7: Press Button to turn the device off. Step 8: Slightly lift or turn Carb Ring while inhaling to clear vapor from Mouth Piece. Step 9: Exhale, and enjoy your dab! Safety Note: The susceptor and susceptor holder can become very hot when dabbing. Be careful handling them, and wait for all pieces to completely cool before touching them. Is Dabbing the Only way to Experience Concentrates? The world of vaping and herb is a rapidly evolving one, with new methods and practices being invented at breakneck pace. Dabbing has become increasingly popular in recent years, and with technology evolving to make dabbing faster, easier and more accessible this trend is likely to continue. With a little practice and some extra supplies, dabbing could easily turn into one of your favorite ways to enjoy that wonderful green herb. If you’re ready for the safest, fastest, and tastiest dabs, the Loto Legend offers one heck of an amazing way to experience induction vaping. Not only is vaping a safe and healthier way to experience your herbs, but it is also a more potent and flavorful experience.